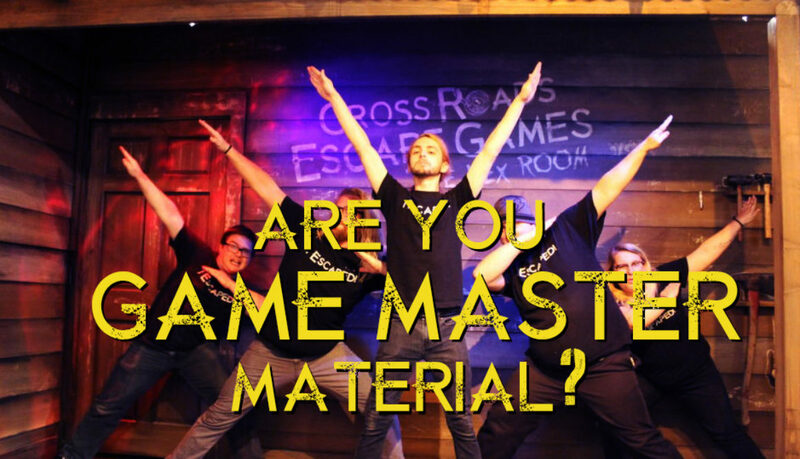 Hear from the Game Masters of Cross Roads Escape Games! They will recall fun stories every month of what they have seen, tips to escape, and what makes a good or bad player. 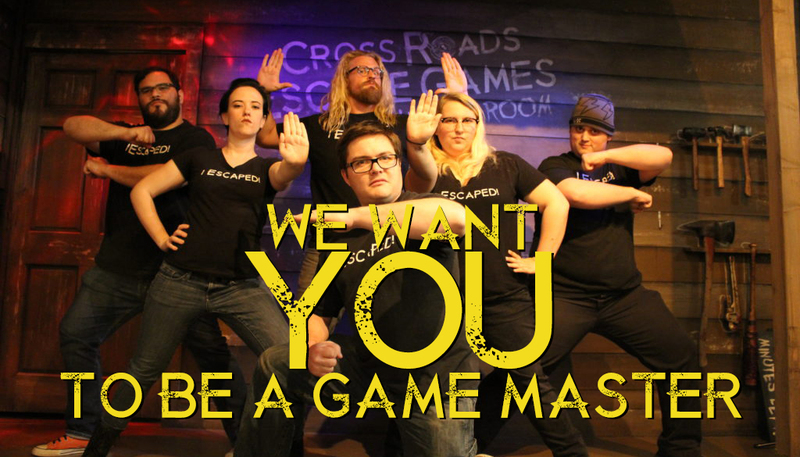 As you may have heard, Cross Roads Escape Games is hiring game masters again and that means it’s time to send in your applications! If you are wondering if you have what it takes to be one of our game masters, here are some of the qualities that make for a truly great game master (in no particular order). This one is a pretty big one, and definitely the first thing I think of when it comes to great game masters. A game master’s ability to not break immersion is one of the most vital aspects of the job. You must be able to play a convincing character while under pressure and always remain in character for the entire duration of the player’s experience. I remember one time when I was playing an escape room, our game master was new and didn’t know which hint to give for our puzzle. As if that wasn’t bad enough, the game master said, “let me go ask my manager”, stepped out of the room, and went to ask for help. Immersion destroyed! It might seem like a lot to ask from the actor/game master, but those that can pull it off are truly a cut above the rest. Ask any of our game masters and they will tell you how important improvisational skills are. In our YouTube series Confessions of a Game Master,we delve into the importance of improvisational skills in the episode “Expect the Unexpected.” It might be a good idea to take a moment to go watch the video here. A day in the life of a game master is never dull. You never know what is going to happen and it is important that you be able to come up with creative solutions to problems in the moment. Did you give someone the most direct hint in the world and they still don’t know what to do? Think of something! Players didn’t listen to the rules and now you need to sheriff on the spot? Do it! You need to have lightning fast responses to keep games flowing smoothly. We are a team and we support each other in the moment. Usually there is either a manager or a senior game master that can provide you with a quick answer, but sometimes you simply have to act. We will train you for almost every situation… but expect the unexpected! Common sense and good judgement are usually not skills that people put on job applications, but in this job, it really matters! Every day you will face decisions that you have to make. Is the person that is asking for a hint ALMOST at the solution? Do they need a small nudge in the right direction? Or are they completely lost and need to be turned around? These snap judgements can be the difference between your players getting a satisfying “A-ha! moment,” and your players feeling let down. If a player wants a small hint and you spell out the puzzle for them, they can often feel like you robbed them of the chance to solve things themselves. Being able to discern the best choice to make before you make it is the sign of a superb game master. Being a game master is all about paying attention to the details. This is useful when checking your room resets for mistakes as well as monitoring your players non-stop. You must keep track of which clues have been found, which clues have been used, and which clues have been used incorrectly. There is nothing more disheartening than asking for a hint and having the game master give you a hint to a puzzle you’ve already solved. Here at Cross Roads Escape Games, each game master is in charge of monitoring their game constantly so that when a player asks for a hint, you are able to give them an immediate and well thought out answer in character. If you are not paying attention, the players will notice. Trust me. One thing that all escape rooms have in common is that they run on a very tight schedule. It is up to the game masters to make sure that they are performing their duties optimally at all times to keep the day flowing smoothly. A game master has many duties they must perform throughout the day and making sure that all of them are completed without causing delays to the games is a vital component of any escape room team. The life of a game master is a careful balance of moving quick enough to be efficient, but slow enough to be thorough. Mastering this balance is how you become a true game master! Having enthusiasm for the job and for the characters you play is honestly the most important part of being a game master. If you aren’t having fun, your group probably isn’t having fun. A smile and a bit of excitement can go a long way towards making players feel psyched for the game and making your team mates feel energized throughout the day. Game mastering is fun and thrilling work that always keeps me enthusiastic. I find it hard to not be energized when I get to spend my day sharing escape rooms with many strangers. If the idea of acting, puzzles, and deadlines doesn’t get your blood pumping, I don’t think game mastering is for you. Though there are many qualities that make for a great game master, these are the most important ones to keep in mind. As a game master, you will be expected to foster these qualities within yourself and always keep improving. Interested in applying? Fill out an application today! Are you a game master with some tips on what it takes to be great? Leave us a comment below! The world of escape rooms can be pretty unexpected. Try as we might, sometimes there is just no predicting the strange things people do. Since these games are interactive experiences where the players control how and when the narrative moves, it takes a special kind of guidance to ensure the train stays on its tracks even through bizarre and sudden turns. That’s where a game master comes in: A Game Master’s job is to gently guide players along the path while still allowing the players to dictate the pace. Here at Cross Roads Escape Games, our Game Masters go through some pretty intensive training to ensure they are ready for anything that is thrown their way over the course of a game. In just a short amount of time, they are required to memorize not only codes, but the placement of props, hints, decorations, and locks, as well as detailed rules and safety. And once they have that memorized, they learn a completely new set-up, a new set of rules, and a new series of codes for our second game. That sure is a lot to remember. One thing we can’t always predict, however, is the human element. We can have our Game-Masters-In-Training run a game over and over until even Zoltar is tired of talking (which is a feat all on its own; He loves to talk) but that human element can often throw a curveball nobody saw coming. That is why our Game Masters are skilled in improv; Being able to think on your feet is essential to making sure an escape room runs smoothly. We make sure our game masters know how to deal with and work around the unexpected, even if we can’t predict exactly what that will be. Of course, there are other traits besides improv that make a game master great. In this episode of Confessions of a Game Master, our game masters explain some of their unexpected encounters as well as some traits that make for an effective game master. Are you caught up with all of our Confessions videos? Catch any you may have missed (or rewatch your favorites) on our YouTube Channel. Do you have a question for our Game Masters? Leave us a comment on our blog and we may answer it in a future episode. Under the pressure of a ticking clock, many people can fall victim to the stress. This can lead to harsh words, hurt feelings, and not escaping. The easiest way to alleviate some of the stress is to support the rest of your team. Offering help to friends who are stuck, re-explaining a puzzle, or just offering words of encouragement can make all the difference. Keeping morale high will keep everyone engaged and having fun. Successful groups are willing to listen to everyone in their team. In escape rooms, you cannot do everything on your own. Even the most brilliant puzzle-solvers will occasionally over-think a puzzle or find themselves stumped on something. The most successful groups are the ones that will listen to an idea from anyone in their group and give it a try. From first-timers to seasoned veterans, everyone has input on the game, which leads to more ideas, which leads to the right idea. From the very beginning to the very end of the game, it pays to pay attention. If someone mentions that they’ve noticed something that could be important, then the group will remember when it becomes important later on in the game. Listening to the instructions before the game can often times be the difference between escape and certain death. Successful groups will accept help. Even though it feels great to solve a room on your own, sometimes the group just cannot make heads-or-tails of a certain puzzle. The most successful groups will know when it’s time to accept that help is needed so they can move on to the next puzzle. Whether it’s asking another player for help, or using the game’s hint system, sometimes all you need is a little push to get right back on track. This is a great thing to keep in mind for The Hex Room, where players are separated into different rooms. It’s not always easy to know when someone is stuck when you are physically separated. If a player is stuck on a puzzle in their room, I find they often get to the solution after they ask other players for help. If everyone on your team is stumped, there’s no shame in asking for a hint. At Cross Roads Escape Games, we have integrated hint systems that provide a seamless and immersive way to receive help within the games. What are some things that make a successful escape room team? Let us know your tips in the comments, or tell us on Facebook, Twitter, or Instagram! Make sure you stay up to date on our Confessions Of A Game Master by subscribing on YouTube! Confessions of a Game Master- Return Trip Tips! If you’ve played The Hex Room before, you’re probably aware that it was designed to be replay-able. Due to its unique design, we are able to cast return players as a new horror movie character and place them in a different horror film to try and escape. Because each character is separated into individual rooms in the game, a player will not experience everything The Hex Room has to offer in one game. 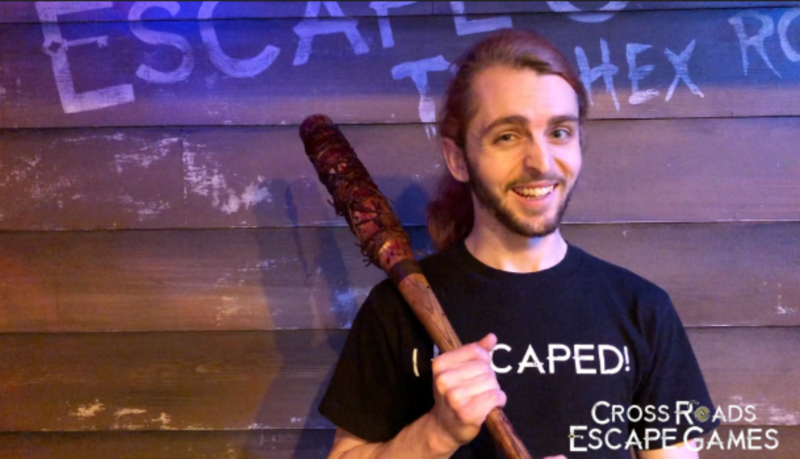 In this episode of Confessions of a Game Master, our Game Masters offer tips on how to best approach a return trip to The Hex Room. 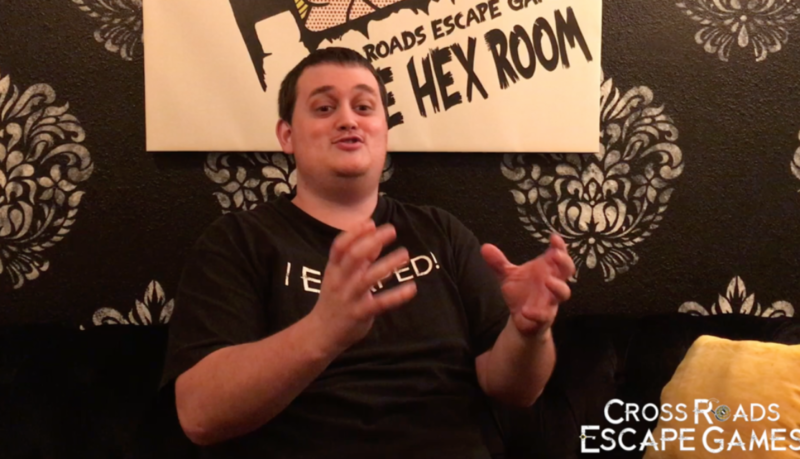 We have seen many return players attempt the Hex Room and, in this video, we will address a few ways to ensure your team gets the best experience. Don’t reveal too much to your teammates. Part of the fun of a horror film is when something unexpected happens. If you tell your group what’s going to happen before it happens, you ruin some of the excitement. Let your friends have the same experience you did when you first played. If you tell people what is going to happen in their room it can feel like spoiling the end of a good horror movie. Nobody likes that person, don’t be that person. Keep in mind that we are constantly working on The Hex Room and puzzles will change often. Assuming that everything will be the same is one of the most common mistakes return players make. This can be particularly hard for your teammates if you start telling other people how to solve puzzles in their room without actually being in their room. You may start leading your team towards a solution that no longer exists! We’ve seen many instances where return players are so insistent that they know the answer to a puzzle that they end up wasting their team mates’ valuable time! To avoid this, it is always best to approach each puzzle as if it is the first time you’ve seen it. Don’t skip ahead. Skipping ahead to a part you remember may bypass puzzles and confuse your team. This is something I saw one time when a player came to replay The Fun House. They entered the code for a lock they remembered and skipped a handful of puzzles. They utterly confused the rest of their team and affected the experience. In the Hex Room, I’ve seen a player convince the rest of their team they needed to find something specific and waste time searching for items that were no longer in the game. To put it simply, treat your return game as a new game. Having played before will help because you have experience with the mechanics and flow of the game but relying on what you remember about the puzzles will only hamper your game. Don’t forget about your Hex Box! 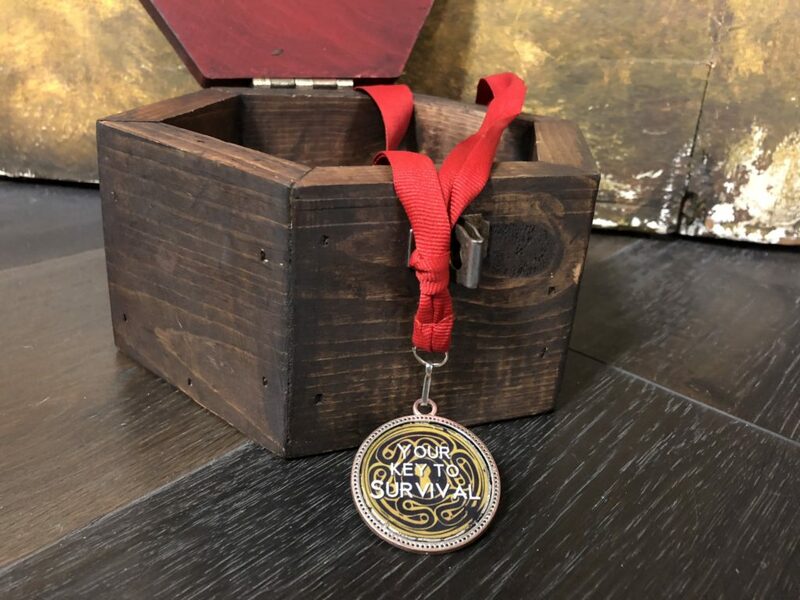 If you were unable to survive during your first play, the second time may be the best time to try for your Survivor Medallion! The Hex Box is an extra puzzle put into the game to further challenge yourself and is not necessary in order to escape. Just be sure you can escape, because the medallion only counts if you have it by the time your team opens the final door. Have you replayed The Hex Room? Comment with some tips of your own here, on our Facebook, Twitter, or Instagram. Be sure to watch the rest of our Confessions videos and subscribe to our YouTube channel! It’s February, Valentine’s Day is approaching, and if you’re in a relationship, you’re probably looking for some way to show your significant other just how special they are. One of the more interesting and memorable dates you can plan is an escape room. 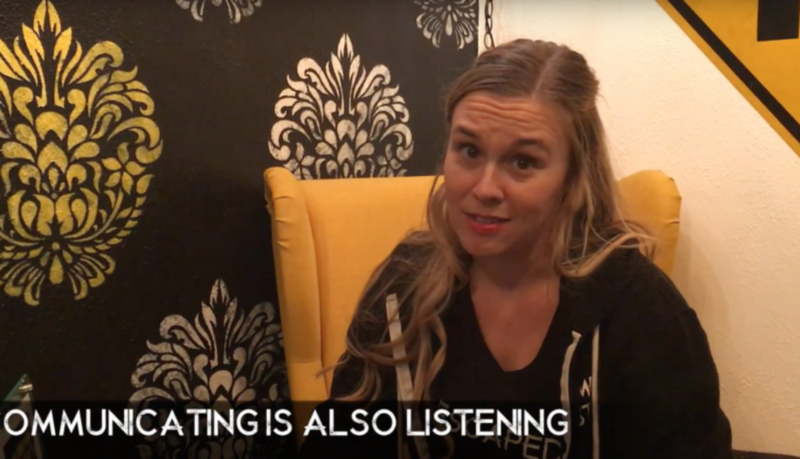 In this special edition of Confessions of a Game Master, our Game Masters have taken on the roles of Relationship Experts with suggestions on how to best approach an escape room date night. Practicing patience, planning ahead, and learning to communicate are just a few of the tips our game masters have to make your date one to remember. The Fun House is a great game for a double date. Filled with enough puzzles for both couples to divide-and-conquer if they so choose, the game is also filled with enough whimsy to make a magical night you will remember. Plus, Zoltar doesn’t mind being a third- or fifth- wheel. At least, he’s never told us he minded. If you are looking for a more thrilling date night, The Hex Room is sure to get your pulse racing. After all, everyone knows horror movies are best when there’s a romantic subplot involved. Great for three adventurous couples, the feeling of being thrown into a horror movie will excite every player while the unique design of being separated into individual rooms will fuel the drive to rejoin your loved one and escape the game. And of course, after the game you can head over to Top Class Pizza or Stereo Brewing with a coupon in hand for the perfect end to a date you won’t soon forget. Make sure you’ve caught up on all of our Confessions of a Game Master videos by checking out our YouTube channel. Be sure to subscribe for future confessions videos! Do you have a question for our game masters? Leave a comment on our blog, Facebook, Instagram, Twitter, or Tumblr and you may see your question answered in a future video. Happy New Year, everybody! It’s that time again; Time for resolutions, new outlooks, new plans, and of course new adventures. If you are looking for something new to shake up your everyday routine, perhaps you should join the hundreds of thousands of people who are turning to escape rooms as their number one choice for interactive fun. 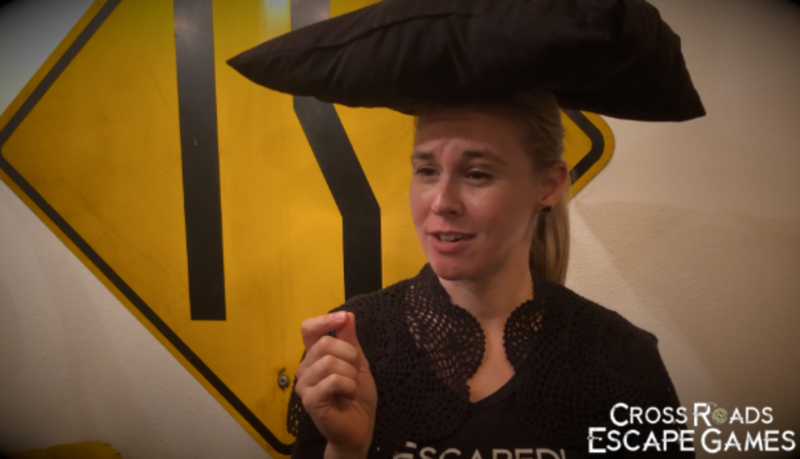 If you’ve never played before, you probably have some questions about what an escape room is. If you have played before, then you already know how difficult it is to explain an escape room without giving away any spoilers. Well don’t worry, I’m here to help. In this blog, I will be explaining what an escape room is as well as providing hints to help beginners approach their first escape game. 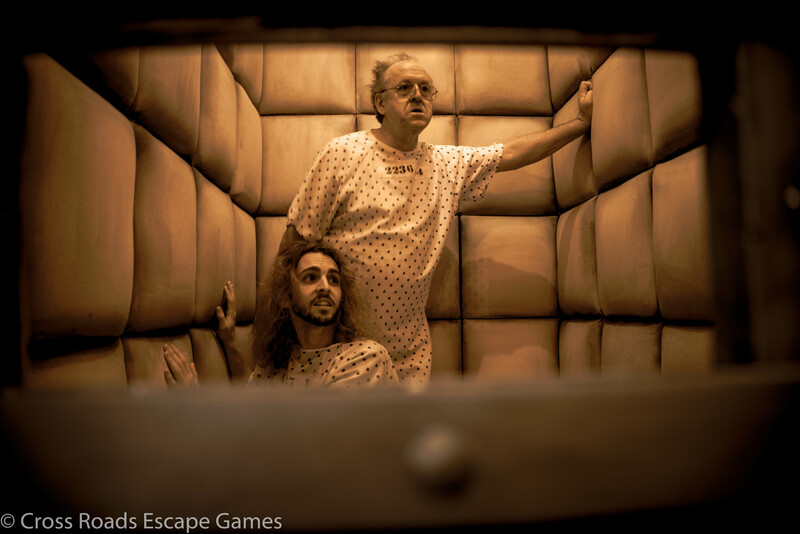 So… what is an escape room? An escape room is an interactive adventure where you must find clues and solve puzzles to escape a room within a set time limit. Of course, this is a very broad description of an escape room. As all enthusiasts discover, each escape room is a little different; with different themes, puzzles, requirements, or strategies. For example, here at Cross Roads we currently have two different games with two very different themes. The Fun House is a kooky, zany circus-themed non-linear room, while The Hex Room is an intense horror-themed room where you are separated into individual rooms and must work together to escape. 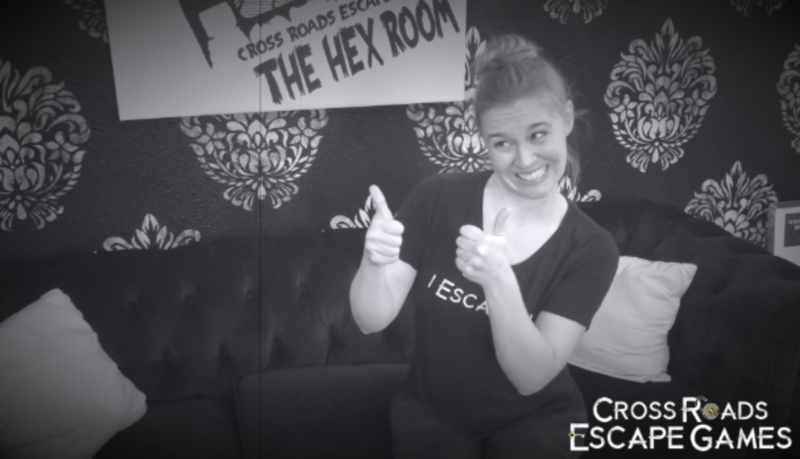 No matter the theme, each escape room is designed around the same ideas: the players are going to need to find clues, connect them (sometimes physically, sometimes not), and use them to solve a series of puzzles. Why would I choose to play an escape room? An escape room is a way to get out of the house and have fun with your family and friends of all ages. Instead of being stuck in a movie theatre for a few hours, unable to interact with the rest of your group, escape rooms provide the opportunity to talk, joke, interact, and socialize with your team mates. If you have kids with you, no problem! Some rooms, like Fun House for KIDS, are designed to provide fun for the whole family! If you want to read a more in-depth post on how to choose the best escape room for your family, check our earlier blog post. 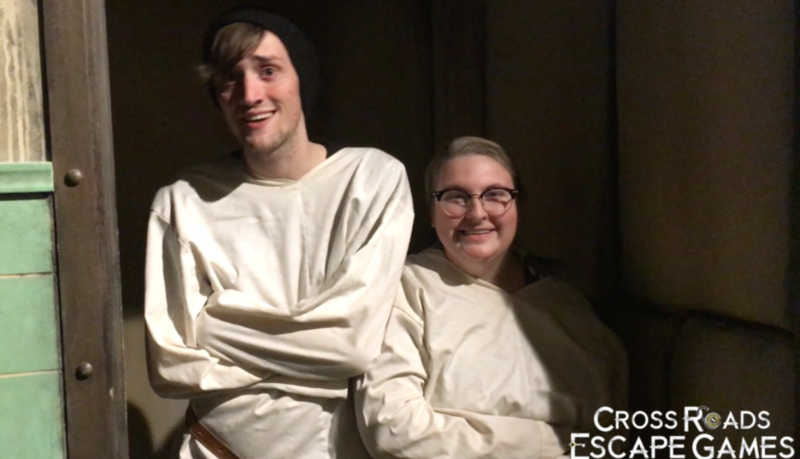 And finally, in a special edition of Confessions of a Game Master, our game masters provide some tips on how to optimize your game while playing an escape room. These tips come directly from watching many players struggle in our rooms and make the same mistakes over and over. I hope this blog has helped you to understand escape rooms a little better. If you’ve been thinking about trying an escape room, want help convincing someone to join you on your next escape room adventure, or are looking for tips on how to improve your games, I hope this has been a good start. And of course, if you like our Confessions of a Game Master video, you can find them all on our YouTube Page. Have a question for our Game Master? Leave a comment on our blog below or on our Facebook, Twitter, Instagram, or YouTube pages and you may see the answer in a future video. Wishing you all a great and exciting New Year. Have fun escaping! Welcome back to Confessions of a Game Master, your inside look at the minds of the men and women running your games. This month, we ask our game masters to tell us about a time they played an escape room with their family. If you are looking for something out of the ordinary to do with your family, taking them to an escape room is a great idea! It’s a way to get people of all ages to have fun, interact, and use their minds. It is an interactive experience that will keep the group active, but at the same time not be physically demanding (depending on the game, of course) and nobody will spend the whole time with their eyes glued to a cellphone screen. It’s a time to be present, together. 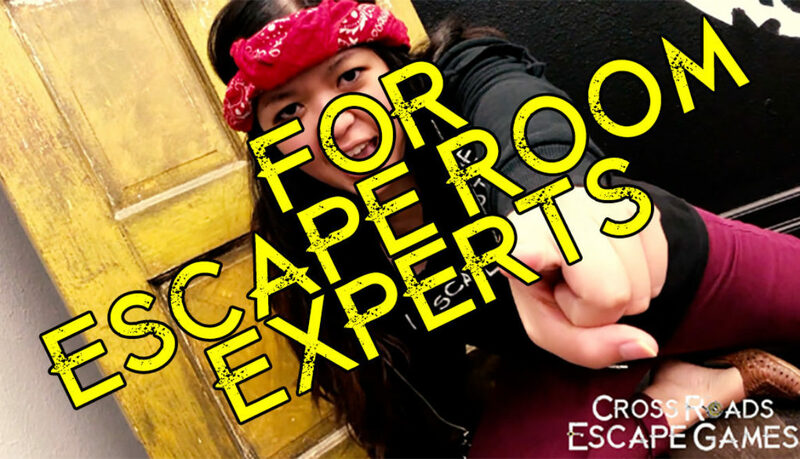 To read a little more and for tips on how to choose the best escape room for your family, check out my previous blog here. My family loves to play games and put together puzzles when we get together for the holidays, so it was only natural that we should graduate to playing escape rooms as well. I know that we’ve all made lasting memories while getting to be active and use our minds. This holiday season, I hope you get to do something memorable and extraordinary with your family. Tell us about a time you’ve played an escape room with your family! 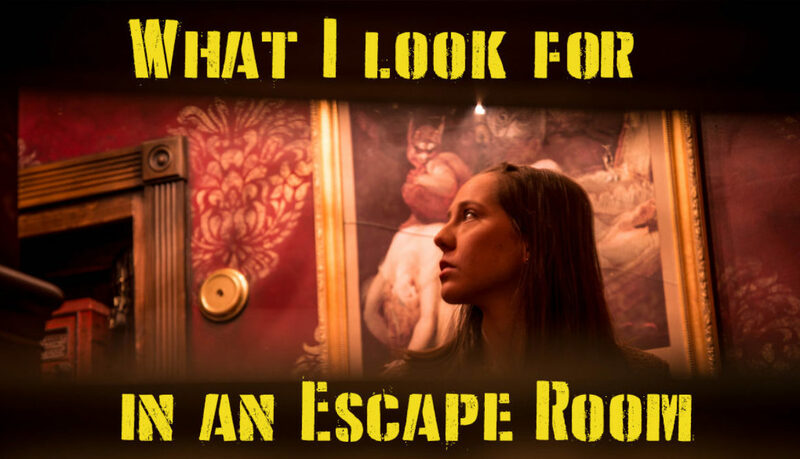 Why do you think playing an escape room is great idea for a night out? We’d love to hear from you here or on Facebook! Do you have a question for our Game Masters? Leave us a comment below or on our Facebook, Twitter, or Tumblr! If you haven’t seen our other Confessions of a Game Master blogs, you can check them out here, and be sure to subscribe to our YouTube channel!